Candy corn is an iconic Halloween candy and many cocktails have been created with the fun little treats. The children of the corn recipe takes a completely different route than most, and it all begins with a homemade candy corn-infused vodka. This cocktail recipe was created by Yael Vengroff, Bar Director of The Spare Room. The bar is located inside The Hollywood Roosevelt Hotel, one of the most haunted places in the world. It's believed that the building is the eternal home for the spirits of legends like Marilyn Monroe, Carole Lombard, and Montgomery Clift. The candy vodka infusion only takes a couple of hours so it can be prepared the day of the party. Make the cinnamon syrup at the same time and you'll be all set. Beyond that, you will simply need some seltzer and lemon juice, so the cocktail's really much easier to prepare than it seems at first glance. 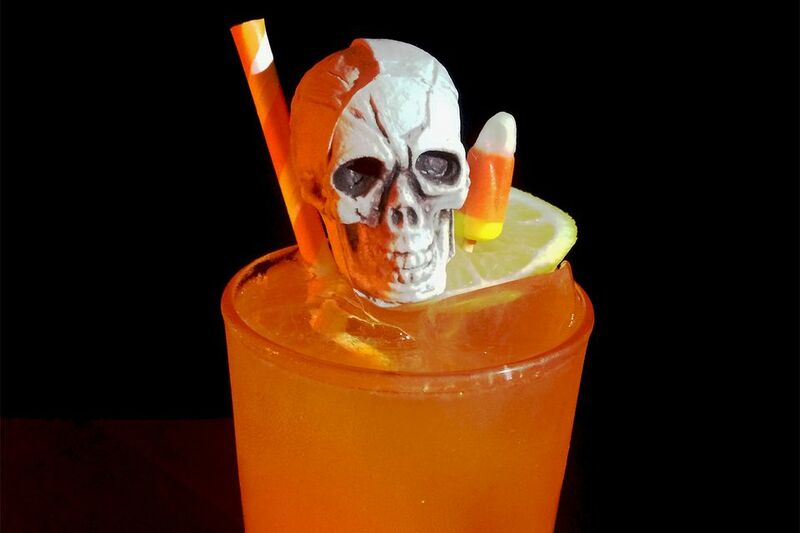 And, when you dress it up with a candy corn garnish, the refreshing drink should impress all your ghoulish guests. In a large bowl, combine the vodka and candy corn. Save the bottle for your finished infusion. Cover and let sit for 2 hours. Strain out the candy corn and pour the infused vodka back into the bottle. Pour the candy corn vodka, lemon juice, and cinnamon syrup into a cocktail shaker filled with ice. Top with seltzer. Garnish with a lemon wheel and skewer of candy corn. It may be tempting to go cheap on the vodka used for the infusion, but keep in mind that the quality of the base makes a world of difference. There are plenty of good tasting vodkas that are affordable and choosing one of these can help you find the balance between quality and cost. The vodka infusion is designed for a large 1-liter bottle. If you want to stick with the standard fifth (750ml), you can cut the candy corn down to 3/4 cup. Then again, a little extra candy is not a bad thing in this infusion, so 1 cup would be just fine. How Strong Is a Children of the Corn Cocktail? Unlike many Halloween cocktails that are very heavy on the alcohol, this one's surprisingly light. The infusion shouldn't affect the vodka's strength, so the drink's alcohol content will fall somewhere around 10 percent ABV (20 proof). That's lighter than most wine.